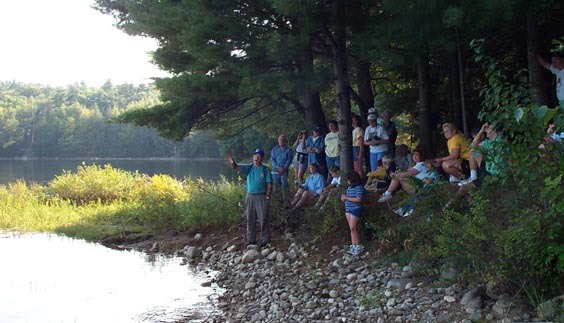 If you missed our annual meeting and Reservoir walk on September 10, 2000, below are a few photos of events from the day. 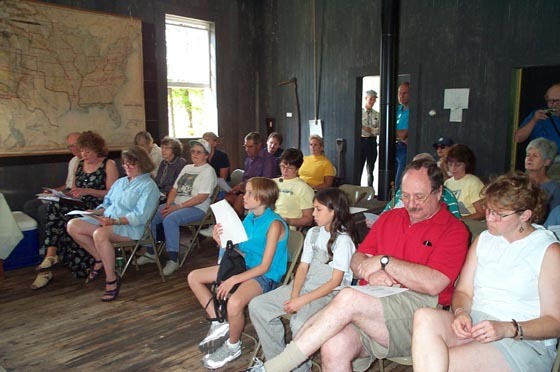 Above- photo of the crowd at the annual meeting of the Barkhamsted Historical Society held in the Center Schoolhouse. 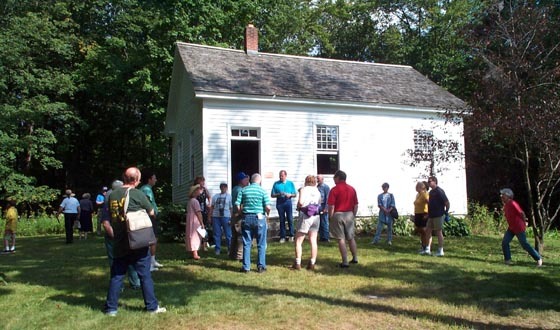 Above- the meeting is over, and the hikers gather together outside the Schoolhouse for the walk to the Reservoir. 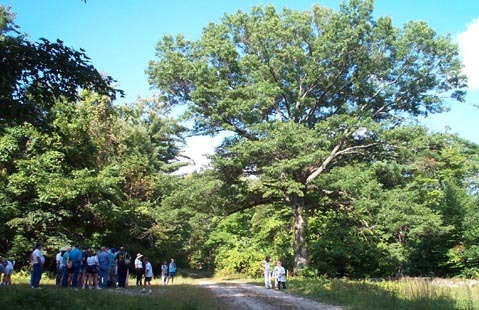 Above- Walt Landgraf talks about the Constitution Oak which is located about 200 feet from the water's edge. The tree is in front of the former location of the Center Schoolhouse. The Schoolhouse was moved to its current site on Route 181. Above- Walt Landgraf pointing out Barkhamsted Hollow locations (some of which are under water) at the edge of the Barkhamsted Reservoir.